What Are the Different Types of Instruments in an Orchestra? Pianos are often included in orchestras. Orchestras often rely heavily on stringed instruments, such as the violin. 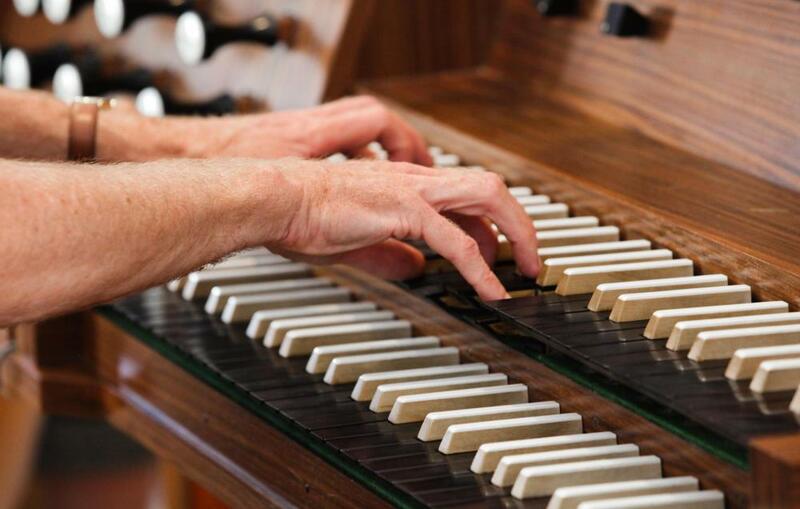 Organs may be featured in an orchestra. Violin concertos are typically written for a soloist, who is accompanied by an orchestra. 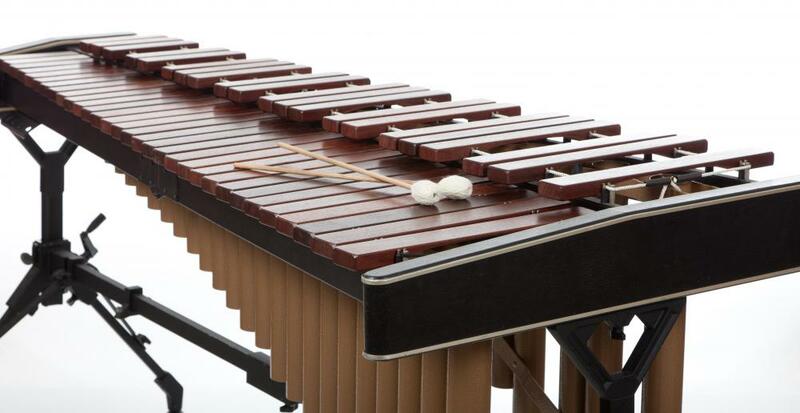 The marimba might be part of the percussion section of an orchestra. 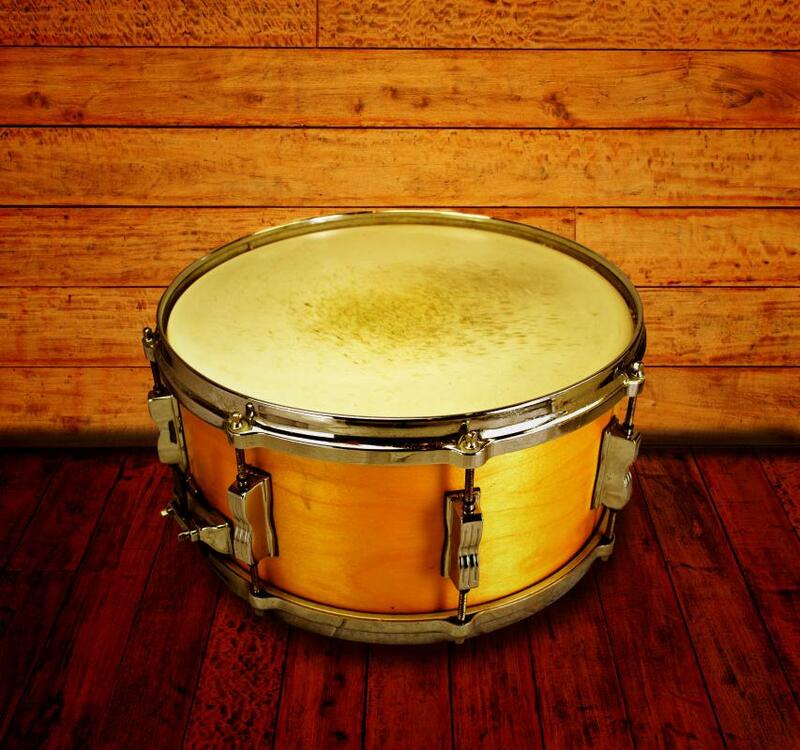 A musical piece performed by an orchestra may require a snare drum and other percussion instruments. The primary types of instruments in an orchestra are string, brass, woodwind, and percussion. An orchestra usually includes a proportionate group of each type of instrument. 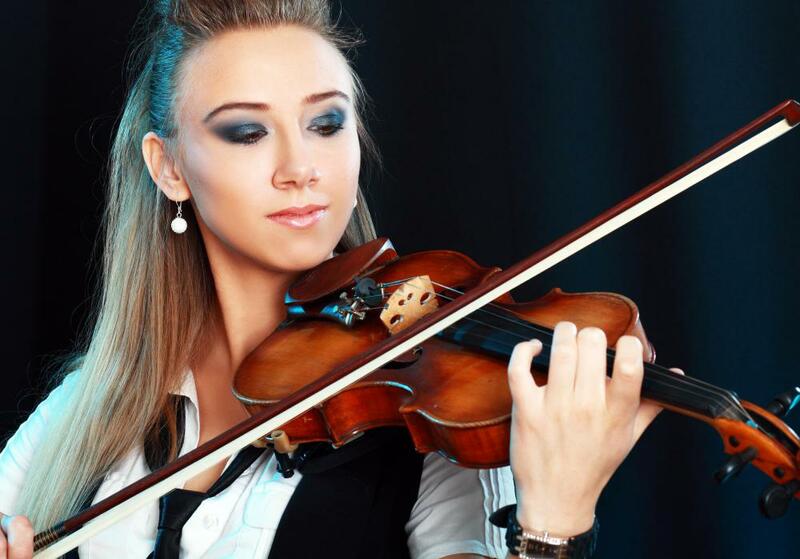 Each type consists of a variety of different instruments that change depending on the size of the orchestra and the demands of the musical score. One of the primary differences between an orchestra and a concert band is that the latter does not include a string section. 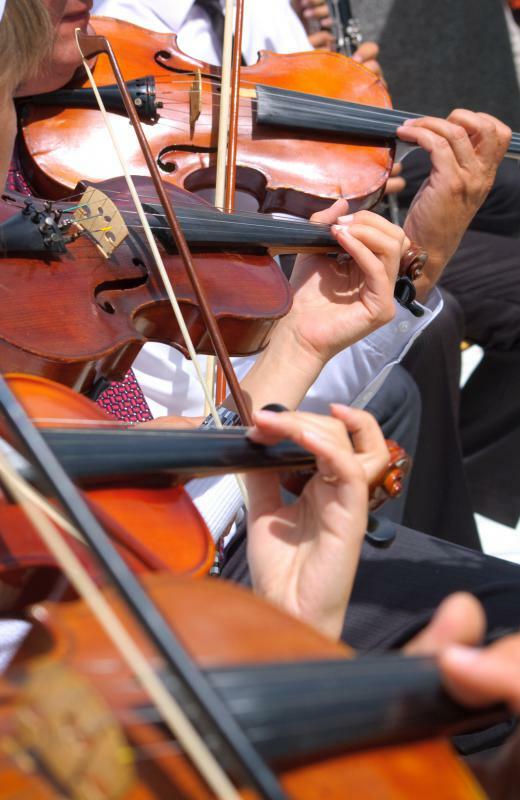 Among all the types of instruments in an orchestra, strings generally make up the largest group. String instruments make sound via vibrating strings and are normally played by plucking, bowing, or striking. A string section in a standard orchestra consists of five subsections: the violas, the cellos, the double bases, and the first and second violins. First and second violins, violas, and cellos are commonly arranged clockwise around the conductor. The double basses are seated on the right behind the cellos. The number of string instruments in an orchestra varies significantly depending on the size of the ensemble. 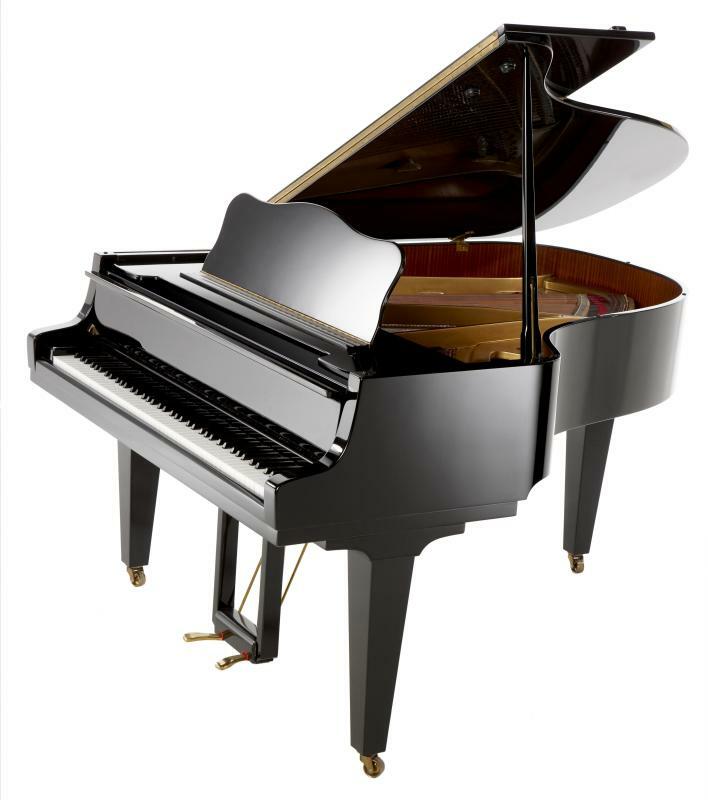 Although some consider a piano to be a string instrument, others classify it as part of the percussion section because the sound is produced by hammers that strike the strings. Brass instruments are other common types of instruments in an orchestra. These are lip-vibrating instruments; a mouthpiece functions as a resonator that passes vibrations from the player’s lips into the air inside the instrument’s body. The shape of the mouthpiece depends on the instrument. The number and type of brass instruments in an ensemble depend on its musical style. A classical orchestra typically includes trumpets and horns. Tenor and bass trombones became common after the 19th century. A modern romantic or baroque orchestra may add cornets or bugles, though these were not originally used in this type of orchestra. The woodwinds are usually a large section in a standard orchestra. These types of instruments in an orchestra make sound when the player blows air through a reed or into a mouthpiece, causing vibration. Most woodwinds are reed instruments, with the exception of the piccolo, flute, and recorder. These instruments make sound when air is blown over their mouthpieces. 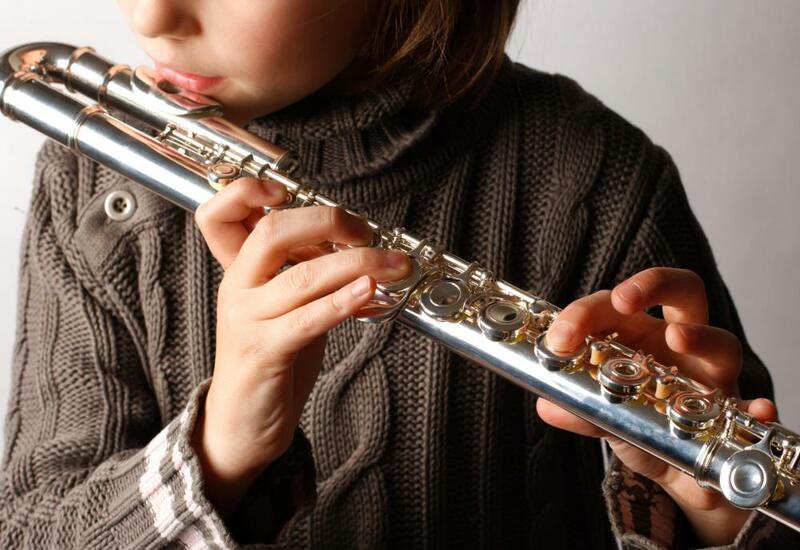 A typical woodwind section includes flutes, oboes, and clarinets. Bassoons, contrabassoons, and English horns are also common. An orchestra may either have a dedicated piccolo player or have a member of the flute section play the piccolo when the score calls for it. The percussion section varies widely depending on what the composer calls for in his or her score. Examples of these types of instruments in an orchestra include the timpani, cymbals, and xylophone. Chimes, the marimba, and the triangle are also typical. A musical work may require a snare drum, tam-tam, or glockenspiel. Percussionists must adapt to a wide range of instruments. Some musical scores may call for exotic or nontraditional types of instruments in an orchestra. Saxophones appears in some 19th- and 20th-century works, such as Ralph Vaughan Williams’s "Symphony No. 6," composed between 1946 and 1947. Also increasingly common is the classical guitar, organ, and harpsichord. Each section of an orchestra has a principal or leader. For example, the principal trumpet usually serves as the leader of the trumpets, while the principal oboe commands the oboes and is the player to whom the rest tune. The principal first violin is typically considered to be the concertmaster in an orchestra. The concertmaster is the leader of the whole orchestra, subordinate to the conductor. A full-size orchestra includes approximately 100 players on its roster and is sometimes called a philharmonic or symphony orchestra. An orchestra with about 50 players on its roster is known as a chamber orchestra. Not all players will be required for every piece played; the number of musicians will vary according to the size of the venue and the program. 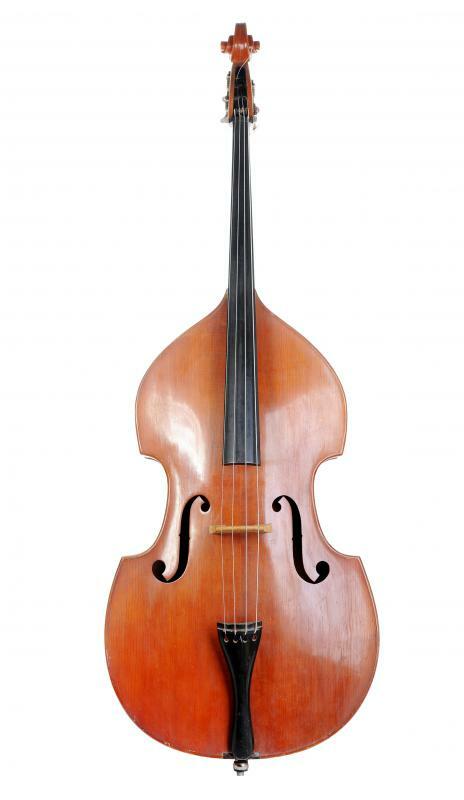 What Is a Piccolo Bass? How Do I Make a Marimba? What Is a Marimba Concerto? How Do I Choose the Best Bugle Mouthpieces? I have a friend who plays with a symphony orchestra. She started out playing clarinet and now also plays the oboe, English horn and bassoon. She said it was a lot of fun to be introduced to so many instruments, and if she hadn't joined the symphony, she probably never would have played anything but the clarinet. She said it's incredibly rewarding to be able to play with so many fine musicians. I started out playing the clarinet in beginning band, and I'm kind of partial to the woodwinds because of that, I suppose. I love to hear the clarinets in an orchestra. I cannot recommend enough that parents take their children to see a large orchestra play. A person may see all the usual suspects in a community band: brass, strings, small woodwinds, but it takes seeing a full orchestra to see instruments like a bass or double bass clarinet, a bassoon, double bassoon and a piccolo trumpet. My husband and I saw the U.S. Navy Concert Band and they were delightful. Kids would be more likely to enjoy this kind of concert, since they play a mixture of classical and popular music. Even now, I'm still fascinated by all the different instruments I see when I see an orchestra play.